Ellen O’Farrell is a bit unusual. She’s a hypnotherapist. She’s never met her father. And she can’t seem to keep a relationship going. (Okay, that’s more normal that we want to admit.) When Ellen meets Patrick, she’s hopeful nevertheless. But when he says he needs to tell her something, she fears the worst. When Patrick reveals that his ex-girlfriend is stalking him, Ellen thinks, "Is that all?" She’s more intrigued than frightened. She’d love to meet her. What she doesn’t know is that she already has. a twisted love story...so interesting! 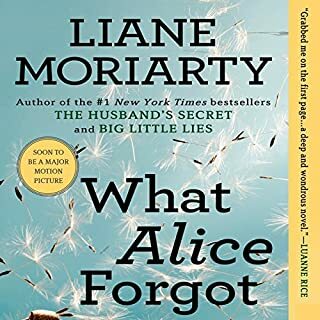 The new novel from Liane Moriarty, the #1 New York Times best-selling author of The Husband’s Secret, Big Little Lies, and What Alice Forgot, about how sometimes we don’t appreciate how extraordinary our ordinary lives are until it’s too late. Six responsible adults. Three cute kids. One small dog. It’s just a normal weekend. What could possibly go wrong? 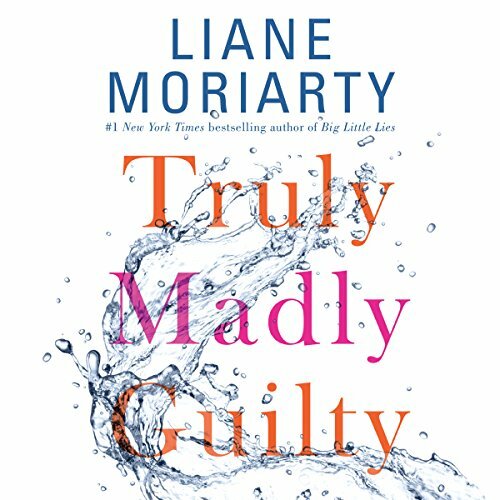 In Truly Madly Guilty, Liane Moriarty turns her unique, razor-sharp eye towards three seemingly happy families. As many others, I was on the edge of my seat waiting for the release of Moriarty's new book. "Big Little Lies" by her was in my top 10 books of all times. With expectations high, this story was disappointing. 4 stars is generous. I would give it 3 1/2 stars if I could. 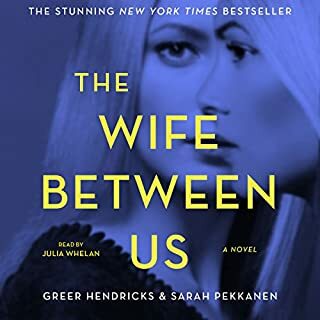 I'm rating it four stars because Caroline Lee as the narrator is inspired. She is amazing. Her accents are fun and bring the characters to life, the emotion she brings added more to the story than was actually there. Moriarty is a master at developing characters, but in this book, there wasn't enough of a story to carry the characters. The drama in this book was almost non-existent which left the characters not doing much at all. When they did respond to situations, they overreacted almost to the point of absurd. The book in audio form made it entertaining. I enjoyed the listen. The story however left me wanting more. 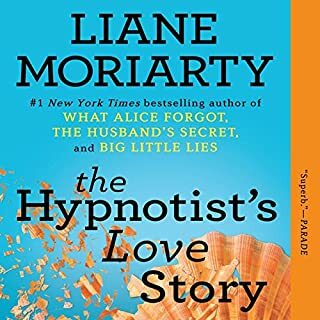 I've enjoyed all of Liane Moriarity's books, have listened to quite a few of them twice. I was anxious for the release of this one. This book seemed like Liane was under the gun from her publisher to push out another one using her traditional formula. But none of the characters were interesting - I really didn't care what happened to any of them. And (with the exception of Vid) none of them entertained at all. The two couples were just depressing. The book was a downer - and Liane has tackled really tough issues in her other books, yet there was so much to care about in the characters that you kept going - couldn't stop. Here, honestly I only finished it because it is in the queue in my car on the commute. Had I actually had to hold it as a book and read it - I would never have finished it. Caroline Lee did the best she could with the material. Most listeners know - she's great in this genre. I can't believe that there are so many negative reviews. Yes it's long, but I haven't finished and can't wait to get into my car to commute and hear what happens next. It may not be as complex as some of her past works, but it makes you really think.Sometimes people are so critical because the can be. Remember... this is a read...it's not real or life or death. It's entertainment. I LOVE this book and don't want it to end! Clementine. And the girls. I love the way Caroline Lee portrays kids in a feisty manner! This book is good if you release your expectation for intricate and compelling storylines that are typical from this author. It took 4 hours for this book to become interesting. Was it worth it? I guess. The story ended up exploring some complex aspects of human relationships, with topics of mental health, complicated close friendships, guilt, and infertility. It made me consider another life as all Moriarty books do, but I found the initial tone to be frivolous. I love this narrator! Despite that, I think she tried to compensate for the lack of intrigue by over performing at the beginning. Caroline Lee is still very good. This is a book about how all it takes is one split-second of inattention to rob you of everything you hold dear. It's harrowing, but full of genuine human interest despite a few slightly less-than-fully-realized characters. While the first half of the book can feel like a tough slog (I repeatedly sped through passages at 1.25 speed, just to hurry to the Big Reveal), the book is ultimately hopeful and life-affirming, and I'm so glad to have read it. It's best to go into it with no expectations, and just let it wash over you (as the splash on the cover suggests). 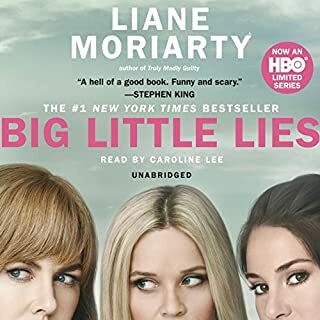 If you go into it expecting the masterful suspense, humor, and general joie de vivre of this author's best work, Big Little Lies, you will be disappointed. In darkness of tone generally, it ranks with this author's darker works, Three Wishes and The Last Anniversary. I agree with other reviewers who have noted that it maybe takes a little too long to arrive at the big denouement (the reader doesn't discover "what happened the day of the barbecue" until Chapter 49, and doesn't discover exactly who was responsible until Chapter 88 (of 89)! But please hang in there if you are midway through the book and thinking of abandoning it, because there are some unexpected twists and tearjerker chapters (and joy like sunshine breaking through clouds) coming your way, beginning about Chapters 80-83. I would give the book 5 stars, almost, except for two things: There is something not just exhausting but careless-seeming about there being over forty chapters with the same title ("The Day of the Barbecue"). Also, Caroline Lee, whose performance as narrator is generally as flawless as ever, made the unfortunate choice to read THE NARRATIVE PASSAGES AS WELL AS THE DIALOGUE in Vid's chapters in Vid's heavily accented voice, which pulls the reader out of the story with a jerk each time it occurs. Fortunately, it doesn't occur often. Bechdel test: Pass with Honors. MULTIPLE named female characters converse, on multiple non-male topics. Our host always says he hopes we have enjoyed the program. I don't think 'enjoyed' really fits here. So many times I wanted to stop listening, because the collective pain and discomfort of the characters was just too much. The day of the bbq kept coming back like the day that would never end. Don't misunderstand. The book is brilliantly done, but it is not an easy listen. At least it wasn't for me. I'm still a bit unsettled, but that says a lot about the book's impact. As always, Caroline Lee is exceptional. Don't skip her interview of Liane Moriarity at the end. 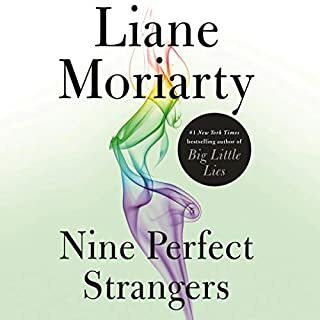 I apologize to all of those who have read my reviews recommending audiobooks by Liane Moriarty. I've read or listened to all of her books and have found the most recent six to be consistently wonderful. I really looked forward to the release of Truly Madly Guilty. Listening to this book was hard labor. The first half is both boring and confusing. There is none of the humor Moriarty usually delivers. The book improves in the second half but not by enough to make it better than three stars. Indeed, I can make a strong case for two stars. I listened to the entire thing and I have no idea exactly where the climax was. This is one of the least suspenseful suspense novels of all time, for sure. A waste of a perfectly good credit. 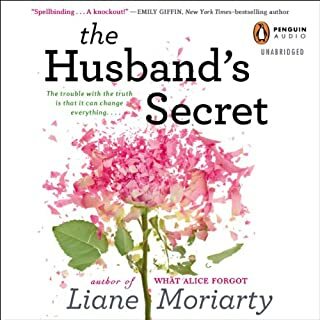 I am a fan of Liane Moriarty and have read most, if not all, of her books. This one let me down. I can't tell you how many times I almost gave up on it. It flips back and forth in time so much that I almost got dizzy. It took at list five hours before I had any understanding of what was going on. None of the characters are likable. There is no great mystery. It really needed editing. 17 hours of nothing. I didn't know my adult daughter was reading it on her Kindle at the same time and she had the exact review. I will continue to read her books but I can't recommend this one.